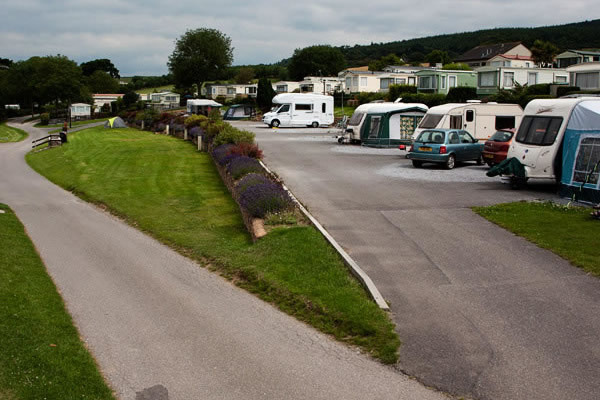 Touring caravans and motor homes are accommodated on hard standing pitches with electric hook-up and water tap on the Top Terrace. The awning is pitched on fine gravel requiring metal pegs. Our largest hard standing pitches can accommodate a touring caravan measuring 25ft (including the tow bar) and an awning the length of the caravan body (ie. no “pods”). 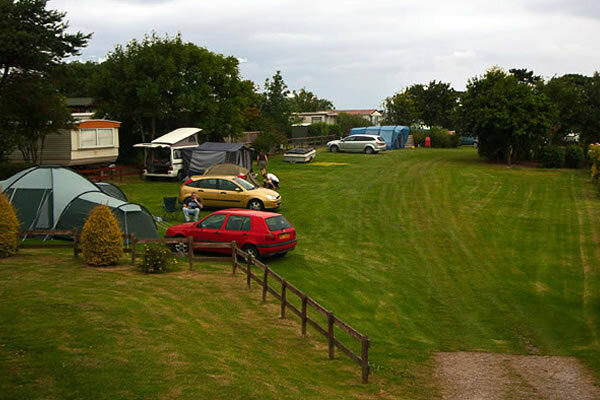 Our largest camping pitches can accommodate a 7m x 5m tent. 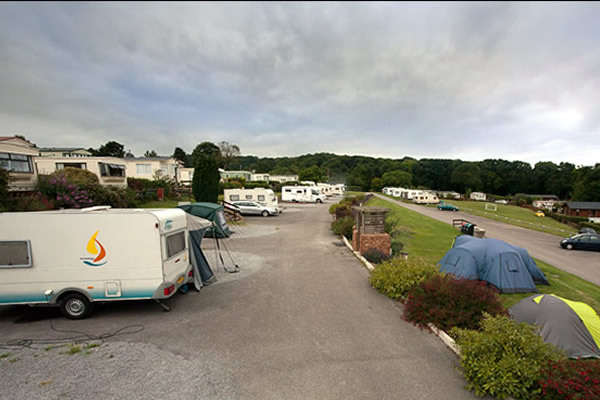 The terraces face the cliff-top and look out over The Green and the cliff-top static caravans and trees to the sea. Louise’s Patch is a sheltered off-road area with countryside views and The Green is gently sloping with no set pitches. The main loo/shower block (with a family room, laundry room and outside sinks for washing-up) is located up steps behind the terraces and a smaller block (with outside sink for washing-up) is situated near to Louise’s Patch. Showers are metered at 20p. There is a rubbish collection and water point in Louise’s Patch and a chemical disposal and rubbish collection point on the Top Terrace.